Together with four undergraduate researchers and one postgraduate researcher from the natural sciences, humanities and social sciences, Elisabeth is currently working on a joint collaborative research project between the University of Warwick and King’s College London, critically investigating the development of particular graduate capabilities in research intensive higher education institutions. By means of discourse analysis of departmental and university webpages at Warwick, the research first aims to establish a sound basis of understanding about the university's claims upon the capabilities undergraduates achieve by the time of their graduation before evaluating how these claims are put into practice. In addition to that, Elisabeth is also working on the Centre’s Reinventing Spaces project with other members of the Centre, researching the relationship between space, curriculum and pedagogy. Elisabeth finished her PhD in Sociology at Warwick ('Against and Beyond: For Sociology. A Study on the Self-understanding of Sociologists in England') in 2009. Her PhD was funded by the Reinvention Centre and she has been working with the Centre since autumn 2005 on various research projects such as the interactive multi-media exhibition 'Sociologists Talking' and the collaborative production of the documentary film 'Students at Work: Learning to Labour in Higher Education'. You can read more about Elisabeth's PhD research and related research interests on her webpage . 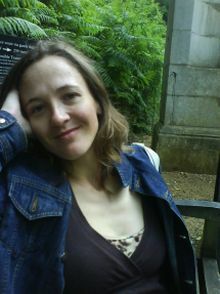 Elisabeth also holds an MA in Comparative Labour Studies from the University of Warwick and a BA and MA in Sociology from the University of Vienna. Prior to coming to England in autumn 2004, she gained several years of research experience in an extra university social research institute (SORA) in Vienna, focusing on work and employment studies.